Trials & Tribulations Of A Brummie Mummy: Zelf's Series 4 Review. My daughter watches a lot of unboxing of toys on YouTube and I know she has watched quite a few of the Zelf ones too. She is really Into figures and she takes a handful with her where ever she goes. So when Character options sent us a new series 4 Zelf I knew Lexie would be thrilled to add another to her collection. 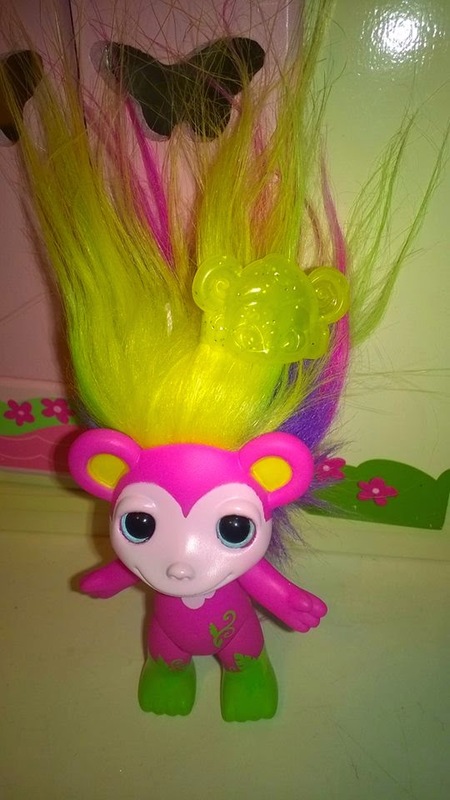 Zelfs remind me of the 80s trolls I know I had about 300 of the things in every colour, share and size. Zelfs are similar with the crazy coloured hair. They come in different animals and there is a huge amount to collect including ultra rare Zelfs too. We received a super cute money called Smoothie, Multicoloured yellow, pink and green body with an array of rainbow colours though her hair. 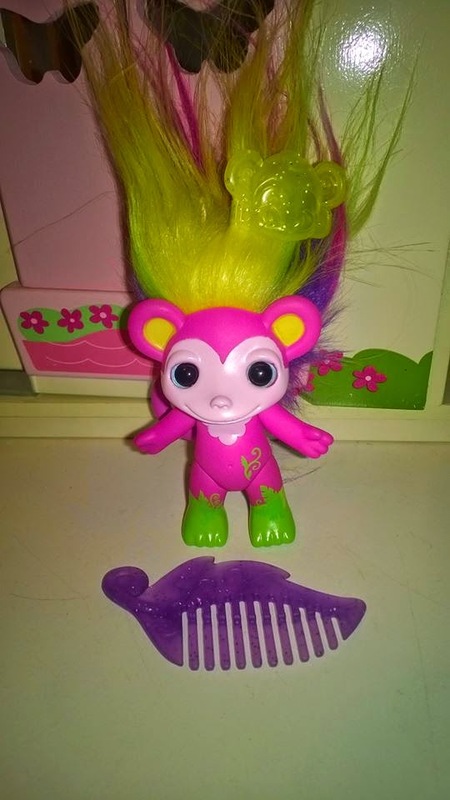 Smoothie came with a glittery comb and monkey hair slide. 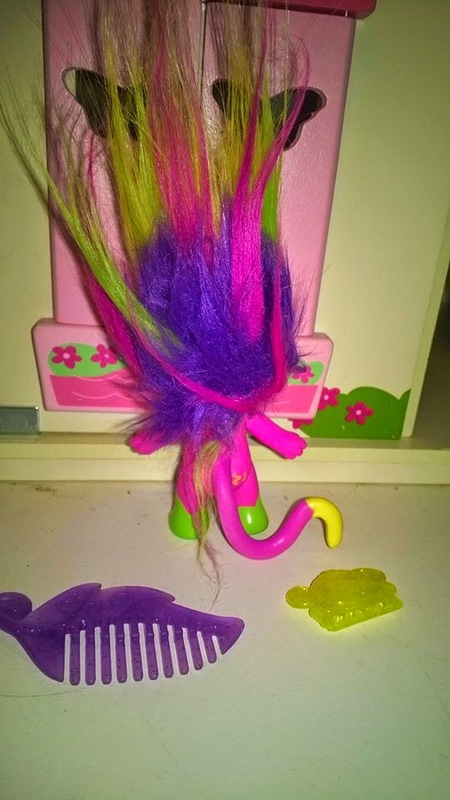 The head arms, legs and tail do move and the figure itself is bold, bright and very sturdy. Labels: Zelf's Series 4 Review.